You Got Serviced!  : How Often You Need to Take Your Ford In for Service. Like a trip to the doctor or the dentist, it’s incredibly easy to overlook taking your vehicle in to get serviced—that is until you lose a tooth, an arm, or a wheel. But with yearly cleanings at the dentist, an apple a day, and regularly scheduled Ford maintenance, there’s no reason why you can’t hold on to your teeth, limbs, or vehicle for a very long time. So, in an effort to bring you the most accurate, factual, and downright useful information we could, we’ve asked the experts how often you need to get your Ford vehicle serviced. First of all, you are probably wondering—”Can’t I do it myself?” Well, like tattoos, haircuts, and open-heart surgery, you can service your vehicle yourself but it’s best to have a pro do it. By all means, check your oil level next time you get gas. Kick your tires next time you take a walk around your vehicle. Just remember that the good folks at the Team Ford service department do a little bit more than that. Our factory trained technicians are trained on Ford vehicles, and are constantly learning more to keep up with new technology and service methods. But hey, I’m sure that 5 minute YouTube tutorial you watched was really helpful. Also, do you have a copy of our comprehensive Vehicle Report Card? No, you do not (and if you do, that’s private property, return it!). We’ve also got special, expensive and advanced analytical computer equipment that can tell us what, if anything, is wrong with your vehicle. Plus, at the end of the day, isn’t it always easier to have someone else do it? Thanks to our appointment-free Quick Lane service, you can just swing by the dealership when it’s convenient for you. Check your engine oil level, light function, tires, and washer fluid every month. Check your battery connections, cooling system fluid and coolant, and door hinges every six months. And bring your Ford in for a service from our technicians every six to 12 months. I know it seems like a lot, but like any other major investment it will last longer the better care you take of it. Of course, adding in the Ford Protection Plan, or any other available warranties is always a wise choice. If you need to make an appointment for service, you can here; otherwise, just swing on by our Quick Lane service department for speedy hassle and appointment-free service. This has been a message from your friends at Team Ford, to take care of yourself and take care of your Ford. They’re the two best friends you’ll ever have.